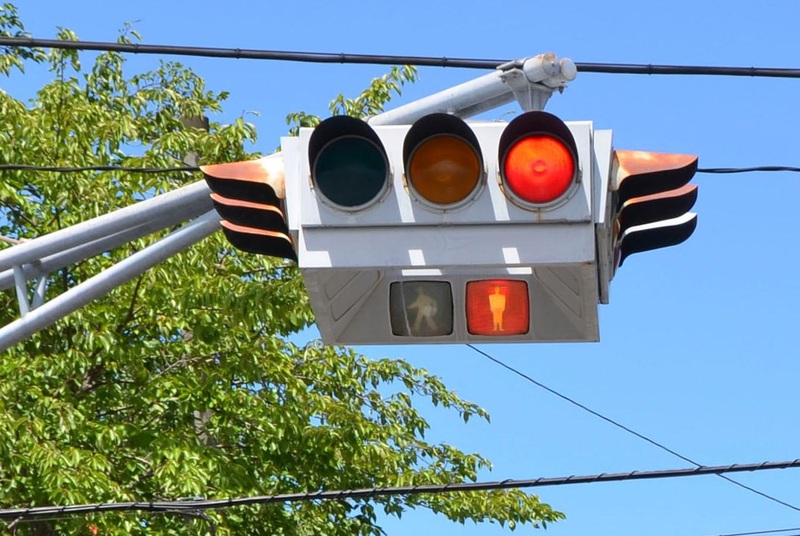 SENDAI - The fate of UFO-like traffic lights installed in a northeastern prefecture more than 30 years ago hangs in the balance as local police consider whether they should be removed. 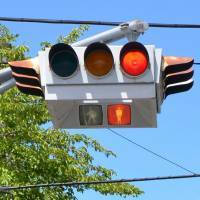 The traffic lights in Miyagi Prefecture, famous locally for their distinctive shape, have signals visible to traffic coming from any direction, resulting in a wing-tipped look. When illuminated, it appears they float over the intersection below. The lights are supported by an arm extending from a pole on the sidewalk. The traffic lights were installed between 1979 and 1986 on streets that are too narrow for multiple poles and signals. According to Nagoya Electric Works Co., which manufactured the lights, their designer was inspired by European traffic lights that hang from wires. The lights have since been introduced in Nagoya and Sendai. Miyagi Prefecture currently has 26 sets of the lights, but most have become aged and weathered. Local police say they are planning to replace them with new signals that use energy-saving light-emitting diodes within five years and will consider removing signals completely at intersections where traffic is not as heavy as it once was. Cost is also a factor, as prefectural police do not receive state subsidies for their upkeep because they do not meet specifications designated by the National Police Agency. “We will study various options including upgrading those traffic lights to conventional ones,” a Miyagi police official said.